Are you looking to buy a Philips Sonicare 2 Series electric toothbrush and researching more about it? You have come to right place. Here you’ll find a thorough overview of the Philips Sonicare 2 Series toothbrush. Let’s start with a quick look at pros and cons of the Sonicare 2. Comes with a built in timer and switches off automatically at the end of the brushing period. Simple to use with just one/two cleaning modes. Uses an older battery technology. If you are in a hurry and would like a quick guide to the Philips Sonicare 2 Series electric toothbrush, just skim the answers to these 3 big questions which are key to making your decision. If you have more time, then please read the rest of this Philips Sonicare 2 Series review and you’ll understand every aspect of the popular electric toothbrush. 1. 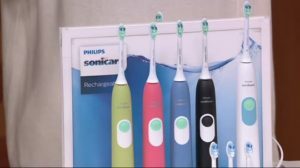 Are there any serious flaws in the Philips Sonicare 2 Series? No, there are no major drawbacks to this toothbrush. In fact, the Philips Sonicare 2 Series electric toothbrush is a well-made, highly efficient, functional and practical toothbrush that does the job of cleaning teeth very effectively. The only minor issue we found with the toothbrush was that it uses an older battery technology. The NiMH battery belongs to a previous generation unlike the newer Li-ion battery. 2. Are there any other brushes of comparable function and potential? There are a few other options in the same price range as the Sonicare 2. You might consider the Philips Sonicare ProtectiveClean 4100 or EasyClean or ProtectiveClean 5100. While the Sonicare EasyClean is very similar to the Philips Sonicare 2 Series electric toothbrush in many respects, the latter has additional features that will enhance your experience. 3. Where is the best place to buy a Sonicare 2 Series electric toothbrush? 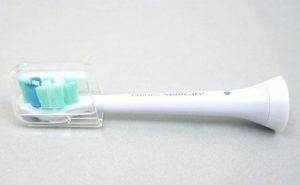 There are several variants for the Philips Sonicare 2 Series. And all stores may not stock the different versions. Pricing also varies by retailer and whether they have a sale going on. You may want to check different retail outlets for the best deal. Generally, online e-commerce portals like Amazon have the best prices and widest choice. At ‘A Dentist’s Daughter‘, our team of reviewers deal with toothbrush-related issues and review them for our visitors. We are sharing this expertise online to be of help to a wider community, basing our recommendations on research and user feedback. Whenever newer and relevant information becomes available, we tailor our reviews. Our aim is to provide honest, bias-free, to the point information, to help you make informed decisions. Okay, with that out of the way, let’s take a deeper dive into the details of the Philips Sonicare 2 Series. In a nutshell, the Philips Sonicare 2 Series is a basic entry-level model without any bells and whistles. It offers two cleaning modes and reasonable battery performance. If you are new to electric toothbrushes and would like to try it out without spending too much money, then this is a good choice. If you aren’t sure if you’ll stick to electric toothbrushes for a long time, or if you just want a basic toothbrush without any frills and fancy, one that does a good job of cleaning your teeth, then the Philips Sonicare 2 Series electric toothbrush is a good option. There are 4 different varieties of the Philips Sonicare 2 Series electric toothbrush available in the market. 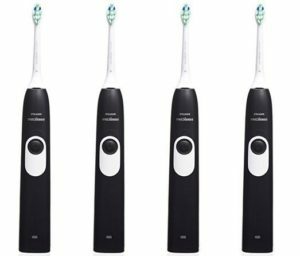 For what’s essentially a very simple basic toothbrush, it’s indeed surprising why the company released four variants of the model. The difference between them is only slight. But it makes the decision to pick one a little more complex, especially since the price also differs. 1. Gum Health has two cleaning modes – Clean and Massage – and comes with gum health Standard brush head. It is blue roan in color. 2. Black variant has only one cleaning mode and ships with 2 DiamondClean standard brush heads. 3. Standard type features 2 cleaning modes – Clean and Massage. It comes with the ProResults standard brush head, and a Blue Roan coloured handle. 4. Compact also has 2 cleaning modes – Clean and Massage – and is blue roan colored. A ProResults compact brush head is included in the package. 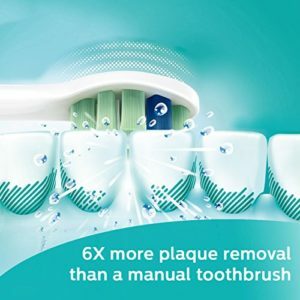 What advantages does a Philips Sonicare 2 Series electric toothbrush have? 1. The sheer number of brush strokes – up to 31,000/minute – cannot be matched during a manual brushing session. 2. EasyStart functionality helps ease you into an electric toothbrush experience without the initial discomfort of adjusting to vibrations and the rapid bristle movements. 3. Removes plaque twice as effectively as a manual toothbrush. 4. A Smartimer with quadpacer are included. 5. Long lasting battery life (upto 2 weeks on a single recharge). What are the drawbacks of a Philips Sonicare 2 ? 1. Lack of a pressure sensor to warn when you are brushing too hard. 2. Older battery technology which is not as reliable as new ones. 3. Slightly more expensive than other models. The Philips Sonicare 2 Series electric toothbrush is a pretty straightforward model with a sturdy handle and detachable brush head. It’s easy to replace the brush head, and most users do it every 3 months. The handle is rectangular, box shaped with rounded edges, and smooth to hold while brushing. But a ridged grip prevents it slipping from your hands. The Philips Sonicare 2 is offered in five colors – black, white, green, red and blue. While the black colored Philips Sonicare 2 Series electric toothbrush is entirely black, the blue model has a white handle and blue panel for the power button. Buttons and controls are placed conveniently on the handle where they can easily be reached. The power button is mint green and is set amidst a plastic panel in blue. The brush handle is white. So when we say ‘blue’ Philips Sonicare 2 Series electric toothbrush, it’s not entirely blue but actually a mix of both white and blue. Above the power button is a Philips Sonicare company logo in a grey font. Near the bottom is a small battery icon that flashes when the brush is plugged in for charging. It also gives you visual feedback regarding the battery level. This is a useful indicator while traveling or when you’re likely to be away from a power source for recharging. Behind the handle, along the center, there are some raised dots to help give you a firm grip on the handle while brushing and prevent accidental slips. While the base of the handle is flat, there is small recess in the middle of it. The prongs of a charging stand fit snugly into this recess. The blue colored base contrasts nicely against the general white color of the brush handle. At the top of the Philips Sonicare 2 Series electric toothbrush handle you will notice a metal prong protruding out. This mental prong inserts into the brush head and drives it, helping make the 31,000 movements per minute possible. This brush handle comes with a ProResults Plaque Control brush head. The different brush heads that come with 4 variants in the Philips Sonicare 2 Series are all interchangeable. So if you would prefer the Sonicare DiamondClean head, you could simply order it separately, and then swap it for whatever head you are currently using. Fitting brush heads onto the handle of the Philips Sonicare 2 Series electric toothbrush is easy. Just snap it on the brush handle, or off. It is also good practice to replace brush heads with a new one every 3 months because the bristles wear out from constant use. This keeps your teeth healthy and your smile bright. If you find that the brush head bristles are worn out, not in alignment, frayed or split, then replace it sooner. It’s easy to forget when toothbrush heads are due for replacement. To overcome this problem, the Philips Sonicare 2 Series models have an indicator system. The brush head has indicator bristles which are blue in color, and they fade to a pale blue or almost translucent white after 3 months of use. When that happens, you know that it’s time to replace the brush head. Overall, this is a nice electric toothbrush that’s easy to operate and convenient to hold and use. Once the brush head is fitted to the handle, just turn on the power by pressing on a power button located on the handle. Your electric toothbrush starts off in the Clean Mode. If you require Gum Care (also known as Massage) mode, just press the button again to switch to it. In the clean mode, the brush runs for 2 minutes. Since the brush timer starts as soon as the power button is pressed, it’s best to place the brush on your teeth before turning the toothbrush on. This way you will be optimally brushing for the required 2 minutes. Once the 2 minutes are over, the brush handle will automatically switch off. This serves the double purpose of keeping track of brushing time automatically and ensure you neither under- nor over-brush. Why does it turn off after 2 minutes? Most dentists agree that 2 minutes is the optimal time for brushing in order to remove plaque build up and clean your teeth. So the Philips Sonicare 2 Series electric toothbrush keeps track for you and helps you to brush for this period. Every 30 seconds the toothbrush brush motor momentarily pauses to remind you to switch from one side of the mouth to the other half, or to move from one jaw to the other. This way you will effectively clean the upper two quadrants and lower two quadrants of the mouth. For the sake of effective cleaning, you must look at your mouth as consisting of four quadrants, with the upper jaw divided into top right and top left parts, and the lower jaw similarly divided into lower right and lower left. So using the Quadpacer as a guide you just have to move the electric toothbrush over the teeth in that qaudrant for that 30 seconds. You’ll quickly get the hang of it. You already do this randomly with your normal toothbrush. With an electric toothbrush, the quadpacer helps you do it intentionally, every 30 seconds. The quadpacer’s pre-programmed 30 second interval signals the electric toothbrush motor to pause, which causes the bristles to stop moving. The brush motor’s sound also changes in pitch at this time, and alerts a user to move to the next quadrant. This way you will spend equal durations on cleaning all parts of your mouth. You will appreciate this feature once you regularly use your Philips Sonicare 2 Series toothbrush, as the effectiveness of cleaning all teeth is ensured by the quadpacer. Once the 2 minutes are up, your Philips Sonicare 2 Series electric toothbrush will automatically switch off . This helps conserve your battery life for the 2 weeks’ worth of brushing. It also ensures that you do not overbrush in your enthusiasm, risking injury to your teeth and gums. You will find the cleaning experience with a Philips Sonicare 2 Series electric toothbrush rather pleasant as the brush is not harsh or aggressive. Despite being gentle in cleaning, the brush head’s 31,000 movements per minute set up tiny vibrations that remove plaque on the teeth and any food particles lodged between the teeth. Moving over the teeth surface, the Sonicare 2 removes plaque and any other debris while gently polishing your teeth. Studies have shown electric toothbrushes are effective in removing twice as much plaque as manual toothbrushes. Cleaner teeth lead to better oral health and your dentist will be pleased to see teeth and gums that are clean and healthy, as it means less maintenance work for dental professionals. If you are moving to an electric toothbrush from a manual one, the experience can be a little different – and even slightly weird in the beginning. To make this transition easier, Philips Sonicare 2 Series electric toothbrush makers have included a very useful feature called EasyStart. With this feature, you are gradually eased into the power of an electric toothbrush. Over 14 days, this program gradually increases the number of movements of the tooth brush bristles, thereby helping you adjust to all the different vibrations and strokes of the brush head. At the end of this 14 day period the brush reaches its full potential. This innovative feature makes you less likely to feel intimidated by the full power of the toothbrush, with its forbidding 31,000 movements per minute. 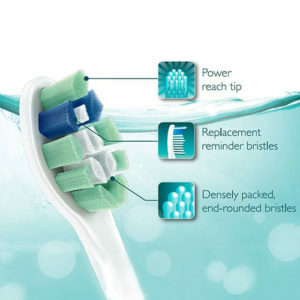 And by including this feature in a basic brush like the Philips Sonicare 2 Series, the manufacturer has showed that it cares about new customers. You might only expect such a feature in the premium range of toothbrushes from other brands. The Philips Sonicare 2 Series electric toothbrush handle weighs about 135 grams and is 19 cm long. Along with the brush head, the height is about 25 cm and weight 140 grams. The squarish base measures about 3.3 cm. It’s just the right size, shape and weight for comfortable brushing. You might wonder if a Philips Sonicare 2 Series electric toothbrush can be used in the shower. The answer is yes. It is water resistant and can be used in the shower. The toothbrush handle can even withstand a quick rinse under the tap and won’t be damaged if some saliva or toothpaste splashes on it occasionally. But it is not water-proof – so don’t dunk it in a mug of water! The motor which is housed inside the handle might stop working if you submerge it under water and it seeps through. There is no pressure sensor included in the Philips Sonicare 2 Series electric toothbrush to alert the user about wrong usage. Sometimes we apply too much pressure while brushing without even realizing it. If there is a built-in pressure sensor, it would alert you to stop pressing too hard. But with no such sensor in this model, we are forced to rely on our own senses. When you brush too hard, gum tissue may get damaged. It might also lead to gum recession. However, perhaps Philips Sonicare decided against a pressure sensor to keep the cost down to an affordable range. The Philips Sonicare 2 Series electric toothbrush comes with a 2 year warranty against any manufacturing defect. You can purchase extended warranties, if desired. Battery life is not a deal breaker for people who don’t travel much or for long periods. As they have access to an electric socket all the time, even if the battery runs down they can always plug it in for a recharge. But there are others who want a longer battery life because they travel often and access to electric sockets compatible to their charger is not always available. They often plan ahead and buy proper adaptors or charge brush handles ahead of their trip, so that the battery lasts for the duration of the trip. A battery life of at least a week is good enough for most short trips. So if you carry a fully charged brush handle, you can forget about a charger and adapter. With 2 weeks’ battery life, the Philips Sonicare 2 Series electric toothbrush offers users a comfortable margin of safety. The battery of the Philips Sonicare 2 is housed inside the handle. It is neither removable nor replaceable. The Nickel Metal Hydride (NiMH) battery is an older technology. Most current systems use Lithium ion batteries which take repeated recharging better and also have longer life spans. Don’t let the older battery technology put you off, though, as many electric toothbrushes are still made with NiMH battery technology and they work well too. This battery can be charged by inserting the handle into a charging station which is then plugged into a power socket. It takes upto 48 hours to fully charge the Philips Sonicare 2 Series electric toothbrush. The battery indicator flashes green when charging, and remains green when the battery is fully charged. If the battery indicator light shows yellow, it means that the battery needs to be charged as its level is very low. When the light is green, it means the battery has enough charge to last awhile. When the battery drains out, an indicator light flashes yellow and emits 3 beeps. This means that the battery has reached a 10% level and needs to be charged as soon as possible. During testing, the battery lasted 2 weeks when used for 2 minutes twice every day. That’s about 56 minutes in total. The automatic power-off feature conserves battery life. The charging stand works on voltages from 110-240 volts and has a two-pin plug. The stand is entirely white in color. Yellow light indicates battery on low charge, needs charging soon. Typically, the best prices are to be found on Amazon and similar online retailers , though at times you might find cheaper deals in a supermarket close to your home when there is a sale going on. 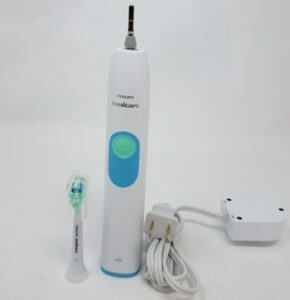 The advantage with shopping on Amazon is that you will often find the exact variant of the Philips Sonicare 2 Series toothbrush you are looking for. Stores often don’t stock all versions of the toothbrush, and may have to specially order it for you. A typical electric toothbrush lasts for 3 years or longer. Considering this, the price you’ll pay for this device isn’t really too high. Of course, you’ll have to factor in the cost of replacement brush heads every three months. But even then, this is an economical option which provides value for money. The advantage of the Sonicare 2 is that brush heads available with other variants and Sonicare models are all interchangeable. So if you’d like to try out one of the other brush heads, you could easily do it. When you purchase an electric toothbrush, you must look at all aspects to ensure that the brush is really worth the price. 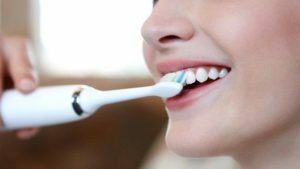 In our Buyer’s Guide to the Best Electric Toothbrush, you’ll get some more information about the variables that determine your choice. One important aspect to consider is the durability of your toothbrush. The Sonicare 2 Series toothbrushes are quite durable, and are suitable for all age groups due to the simplicity of design and simple controls. It is a quality product, and is solid, functional and reliable. With the option of changing brush heads, you can’t go wrong buying this toothbrush. At first glance, the price may seem a little high. But when you consider how long and how well it performs, and evaluate all the useful features included, the Philips Sonicare 2 Series electric toothbrush offers great value for your money. In fact, it’s everything you need in a basic electric toothbrush – without the bells and whistles of a top-line model. Q: How many cleaning modes does the Sonicare 2 series have? A: Two cleaning modes – ‘Clean‘ and ‘Massage‘ modes. Depending on the variant of Sonicare Series 2, you will have one or two of these modes included. Q: Is this an oscillating brush? Q: What about brush head compatibility? A: The Philips Sonicare 2 Series toothbrush comes with ProResults brush head or ProResults Gum health or DiamondClean head. But the brush handle supports almost all Sonicare brush heads, so you can easily switch to other heads and experience the whole gamut of cleaning options offered by Sonicare brush heads. Q: Does it have a pressure sensor? A: No, a pressure sensor is not included in this model. Q: What about a warranty on the Philips Sonicare 2 Series electric toothbrush? A: It comes with a manufacturer’s warranty of two years, which can be extended by paying more. Q: Does the Philips Sonicare 2 have a built in timer? A: Yes, the built in timer is a great innovation as the toothbrush automatically switches off at the end of the two minute brushing period. This helps conserve battery life. If you want to brush longer then switch it on again. Q: Are there any other useful features? A: Yes, the Quadpacer. It helps you to time your cleaning session. Every 30 seconds, the motor pauses so that you can shift from one quadrant of the mouth to the next. This helps you to brush evenly and clean all your teeth with same attention. A: It lasts for 14 days after a full recharge, when used twice a day for 2 minutes – that’s a total of 56 minutes. Q: Is the charger supplied along with the Philips Sonicare 2 Series? A: Yes, a charging stations is included. Q: Can the brush charging station be fixed to a wall? A: No. It must be placed flat on a counter or table. Q: Can the 2 Series be used in the shower? A: Yes. Since it is water resistant it can be used in the shower. But it is not water-proof. Q: Is a travel case included? A: No. There is no travel case included with your purchase. Hopefully this report has addressed your major questions about the Philips Sonicare 2 Series electric toothbrush . If you have any other questions, doubts or comments, please leave a comment below.